Bell Seamless Gutters are a great way to protect your home while adding a clean, attractive touch to your home’s exterior. What sets Bell Seamless Gutters apart from the rest is a unified approach to gutters. Many companies use sectional gutters, assembling the pieces individually, by cutting and fitting each part together on your home. However, sectional gutters can get debris stuck between each piece, clogging drainage and causing overflows and damage to your home. 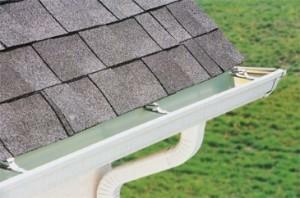 With Bell Seamless Gutters, you get one smooth, custom fit piece that securely fastens to your home and will not clog. It makes for a beautiful finish for your home that will protect it from the elements. For more information about seamless gutter installations in Sussex, Warren or Hunterdon County, contact Bell Gutters today! You can also follow us on Twitter, Google Plus, or Facebook.